Thanks for your interest in hosting a drive. Fill out the form to the right and let’s get started. Until poverty no longer exists, there will be children whose childhood will be impacted by limited access to clean clothing and shoes that fit. Your generous efforts will make a significant impact on people in your own community. You can help make sure that the shelves in our Giving Factory are full so that we can respond to every request we receive for assistance on behalf of local kids in need. We invite you to organize a drive to collect children’s items for us at your school, in your neighborhood, or at your place of work. We accept a wide range of items from newborn to age 12. You can drop them off at our Giving Factory or at one of many convenient drop-off locations. We are here to help you. Why not start today? 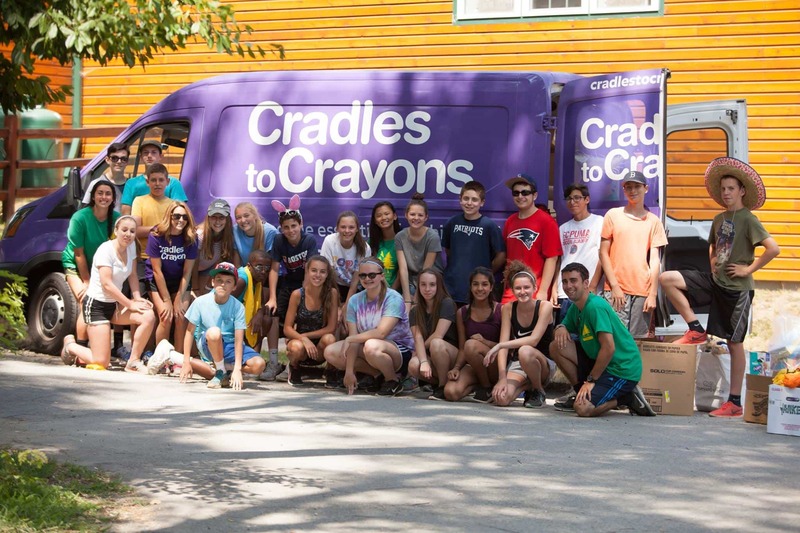 Organizing a product collection for Cradles to Crayons is a great way for your social, civic, church, or business group to serve a very worthy cause. Make us part of a giving-back day for your professional organization. Energize your scout troop or youth sports team to make product collections in their neighborhoods. Manage a community donation box with your faith-based group. Be creative! Our staff is here to help with any information or guidance you may need. Our most needed items change by season. You can always find a current list here. Consistent needs at Cradles to Crayons includes boys and girls clothing and new hygiene items for infants and children. Energize your social, civic, church or business group to make product collections in their neighborhoods. Manage a community donation box with your faith-based group. Be creative! Our staff is here to help with any information or guidance you may need. Is your event a milestone? What type of milestone are you celebrating? We want to hear from you! What motivates you to host this drive?